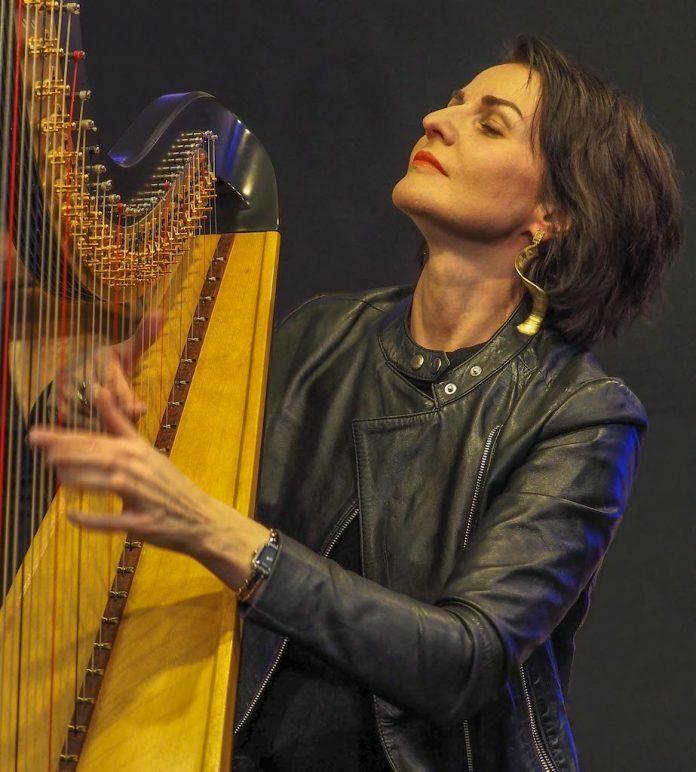 The latest event organised by Leamington-based promoters In The Moment is to feature internationally renowned harpist Alina Bzhezhinska and award-winning saxophonist Tony Kofi. Leading exponents of the music of Alice and John Coltrane, they appeared at the EFG London Jazz Festival with Denys Baptiste and Pharoah Sanders in A Concert For Alice And J which was nominated in Best Live Experience of the Year at the 2018 Jazz FM Awards. But the work of the harpist, an exciting and accomplished player originally from Poland/Ukraine and classically trained, is not limited to interpreting Coltrane. Her group featuring flautist Gareth Lochrane shows her interest in the largely forgotten figure of Dorothy Ashby. Tony Kofi is well established on the international jazz scene, having worked extensively with The World Saxophone Quartet, Donald Byrd, Abdullah Ibrahim, The David Murray, Ornette Coleman, Jazz Jamaica and others. Accompanying the duo will be bassist Adrian Litvinoff’s highly respected group, Interplay. Its members include long standing Mike Westbrook associate Alan Wakeman sax/flute, trombonist Richard Baker, pianist Neil Hunter, and Dave Balen, drums and percussion. A distinguished lecturer, Alina will give a short, informal Q&A session prior to the concert. The concert is at Victoria House, Willes Road, Leamington Spa, Sunday 5 May, 7.30pm. Booking at wegottickets.com.